Teenagers Need Manners Too! *Teen Dog Etiquette .For teen dogs that missed puppy training You may wake up one day to discover that your wonderful, cuddly puppy has turned into a teenage monster, especially if it missed our puppy socialization class. This 8-week curriculum is designed for dogs ranging from 6 to 8 months old that missed the opportunity to attend a puppy class. This is a perfect course for your teen dog that has no obedience, no manners around people and doesn’t play well with other dogs. Lessons are fun for both you and your dog. By using games in the learning process we help you teach your dog to be a well-mannered family member. It’s Never Too Late! *Pet Dog Etiquette For puppies that graduated from a puppy class or alternative training program This is our 8-week curriculum designed for dogs older than 6 months old who have already graduated from a puppy class. This course focuses on reinforcing the puppy behaviors already learned to make sure they stick. We work on increasing the duration of behaviors like sit and stay and we increase the distance your dog will perform skills such as sit, down, come, stay, walk nicely, stand and leave it. 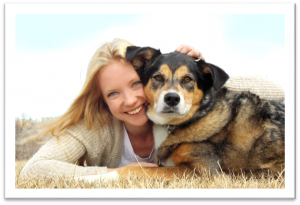 You will really be able to impress your friends and family with your polite and well-mannered four legged family member. Classes are incredibly fun for you and your dog and help increase the bond you share. Call today before its too late. Show-off Your Dog! *DogSmith Solutions – You know your dog is well mannered but make it official and show-off to your friends and family. Teach your skills from our comprehensive 8-week curriculum. This class covers skills such as sit, down, stay, recall, walk nicely, leave, off, take it, walk past a group of people, sit for petting. You will really be able to impress your friends and family with your polite and well-mannered four legged family member. Classes are incredibly fun for you and your dog and help increase the bond you share. Call today before its too late.